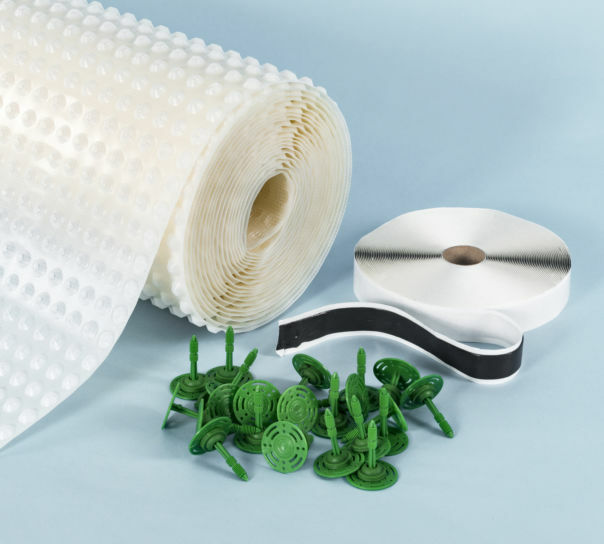 Wykamol CM8 Mesh Membrane is a studded cavity drain membrane that can be used above or below ground, such as in Type C waterproofing in basements.­ The mesh-faced tanking membrane is manufactured in the UK from high-density polyethylene (HDPE) and is impermeable to water. 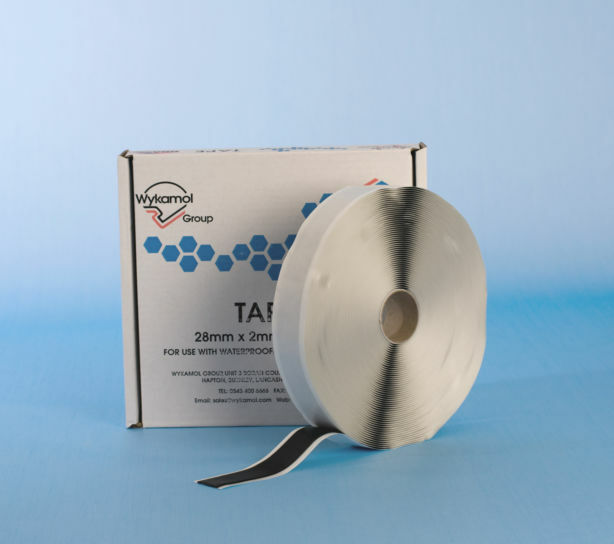 The 8mm high product incorporates stand-off studs and a polypropylene mesh that provides a mechanical key for the direct application of plaster, render or adhesive dabs for plasterboard dry lining. CM8 Mesh Membrane provides an effective barrier to the transmission of salts or other contaminants from the substrate by isolating damp and contaminated backgrounds from surface finishes. Typical uses include protection against the effects of water ingress by isolating vaults and basement walls. 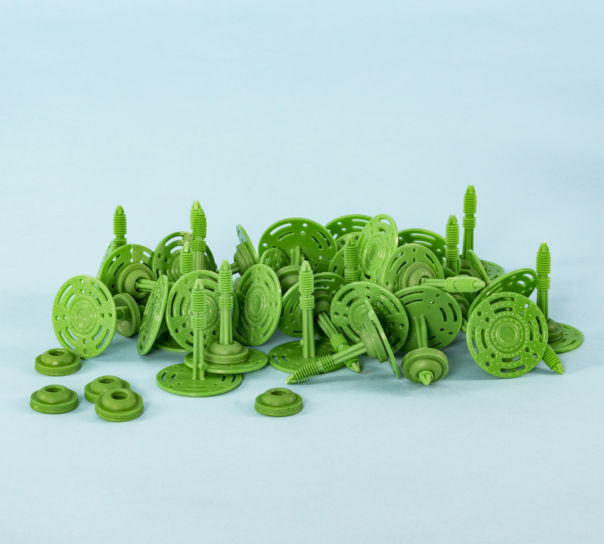 The studs provide drainage capacity as part of a cavity drain tanking system with provision made for disposing of water build-up to a drainage outlet point or to am pump and sump. The membrane is quick and easy to install. Whilst being extremely robust, it sufficiently compliant to fold neatly around corners and is easy to trim with a standard utility knife. 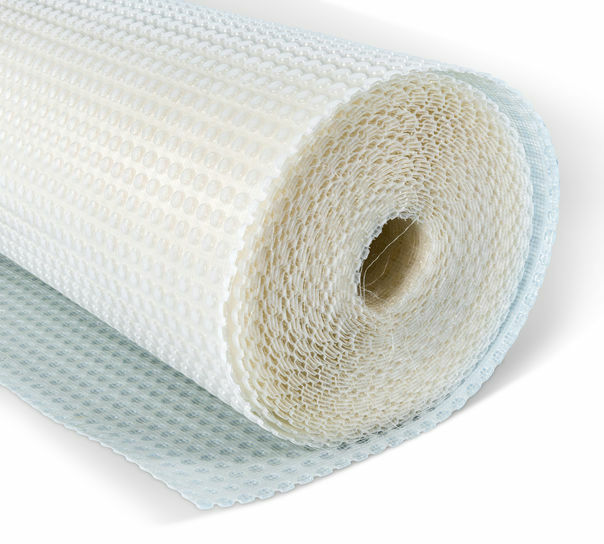 CM8 Mesh tanking membrane is suitable for use in Type C (drained protection) constructions in accordance with BS 8102: 2009. The membrane is BBA approved and can be used In accordance with NBS Specification J40 (clause 290) – Flexible Sheet Tanking / Damp Proofing.